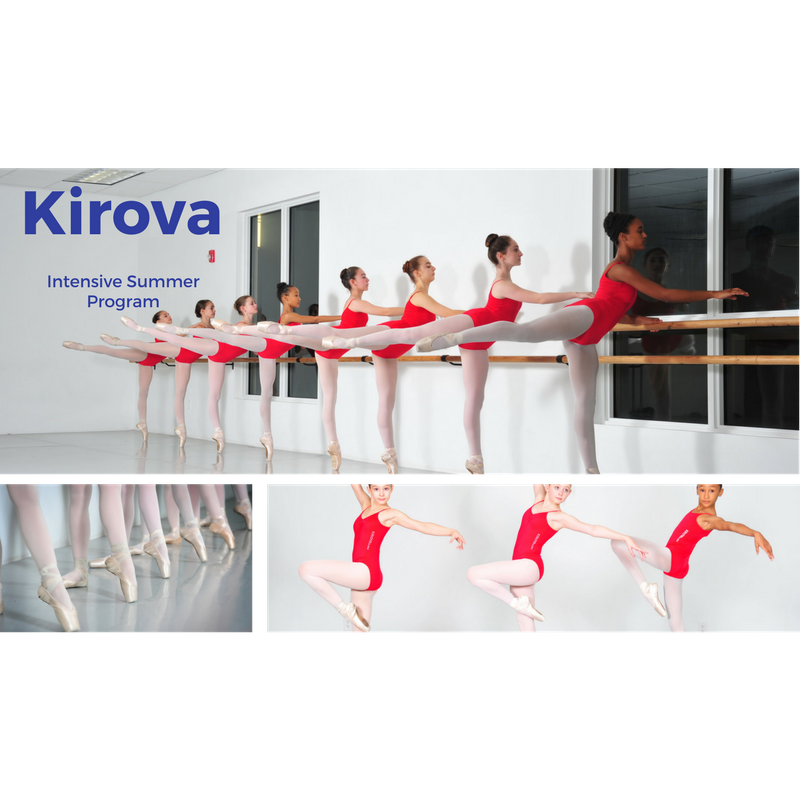 Kirova Ballet offers an intensive 4 weeks training program in wonderful and welcoming Hallandale Beach in July. We offer two programs: Intermediate (for dancers ages 9-13) and Advanced (for dancers ages 14-19) for the students seeking to take the next step in their dancing careers. Admission is by audition only. The classes are taught by distinguished faculty from Mariinsky Theater and Vaganova Ballet Academy, St. Pertersburg, Russian; together with the faculty from Kirova Ballet Academy, including Artistic Director Janna Kirova. Classes include classical technique, pointe and variations, modern/contemporary, partnering and character dance. Our classes begin at 9:00 am and run through 3:00 pm Monday through Friday. Each year, at the end of the ISP, our students will showcase a performance at our studio. Our studio is conveniently located steps away from the Hallandale Beach, many hotels, and shopping areas. Acceptance to Miami Intensive Summer Program is by audition only. There are various ways to audition for the program: in person at the studio or by video submission. In person auditions are March 3rd, 2019 at 10:00 am. Video auditions are $35 and payable at the time of submission. What to expect during the audition: we will lead you through a warm up, barre and center exercises, followed by combinations. We will be determining a correct placement level for each participant. After the audition, you will be advised regarding acceptance and the level to which the student is accepted. You will receive a registration form and a link for tuition deposit. Video Auditions are accepted via video link with the audition registration form. Your video submission will not be reviewed without registration form and an audition payment. Boys please wear white ballet shoes (if possible). Please do not send performance footage or wear costume attire; only audition attire should be worn. If you are auditioning by video, your response will be emailed to you within 2 weeks of submission. Please ensure that the video is not private, as problems viewing the video will delay the process. We have arranged room blocks at several local hotels or residencies with out ballet parents for our out of town students. Please contact barbara@kirova-ballet.com to make arrangements. On the first floor below our studio you will find BurgerFi, Wapo Taco, Starbucks, Matteo’s restaurants. In the shopping plaza within walking distance there is Piola Pizza, Las Vegas Cuban Cuisine, Panera Bread, Oishi Thai, Winn-Dixie, Ross, Burlington, and many many more. Students accepted to KBA Intensive Summer Program will be notified via email. Registration link will be emailed to you to be completed online, and are due before April 30th. Placement in the program is granted on first come first serve basis. We limited the program to 40 students, so please make sure to submit your forms, registration and deposit in time to guarantee your spot. Once the Program is full, students will be placed on a waiting list. Tuition balance $900 must be paid in full by June 1st. Mrs.Kirova was born in Russia and educated at the world famous Vaganova Ballet Academy (St. Petersburg, Russia), by renowned Russian professor Irina Trofimova, pupil of Agrippina Vaganova. In 1989 she joined the world famous Kirov Ballet (now the Maryinsky). Mrs.Kirova performed numerous solo roles in productions of “La Bayadere”, “Giselle”, “Swan Lake”, “The Nutcracker” and “Sleeping Beauty” and as a principal dancer with several companies in Europe. Elena graduated from Vaganova Academy, Sant-Petersburg, Russia in 1981. Upon was graduation she was invited to be a soloist for the world renowned Mariinsky Theater formally know as the Kirov Ballet. Giselle, Sleeping Beauty, Swan Lake, Don Quixote, Raymonda, Chopeniana, The Fountain of Bakhchisarai, The Stone Flower in addition to many more. Elena has also danced and acted in movies including: “Where is Fomenko gone?”- 1981, “Fuete” in 1986 with ballet stars of Bolshoi Theater – Yekaterina Maximova and Vladimir Vasiliev. Her professional ballet biography can be found in the Encyclopedia of Ballet, St. Petersburg Ballet 1903-2003. He partakes his dance studies between the Caribbean, France and United States of America. In 1998 he was honored with the status of Lauréat Lavoisier (prestigious scholarship competition from the Ministry of Foreign Affairs in Paris). He danced professionally with famous dance companies, such as Dance Theatre of Harlem, Berlin Opera Ballet, Forces of Nature and many others around the world. He holds the French state diploma for teaching classical ballet. 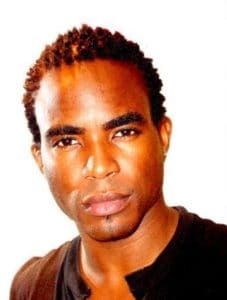 After one season at the Paris Opera Garnier in 2003, performing in the opera-ballet Les Indes Galantes, by choreographer Blanca Li, he established himself in Jacmel (South East of Haiti), where he is directed a distinguished dance school and community dance program. His work as a choreographer is a complete synthesis of classical ballet, Haitian dances, theater, martial arts, all blended into a humorous and elegant style. Jean Aurel Maurice has taught at Academie De Dance, Petion-ville, Haiti; Connecticut Ballet Center, Madam Francoise Beghin,Montreal National Music and Dance School; Madame Nadejda Kostenko, Kiev Opera, and more. Mr. Maurice has trained and won at many international dance competiions, such as THE GRAND PRIX DE LAUSANNE in Switzerland.